Since Nick Saban arrived at Alabama in 2007, no college football program has identified and developed more NFL-caliber talent. Over the last decade, 77 Crimson Tide players have heard their names called. The program set a record with 12 total selections in the 2018 NFL draft. 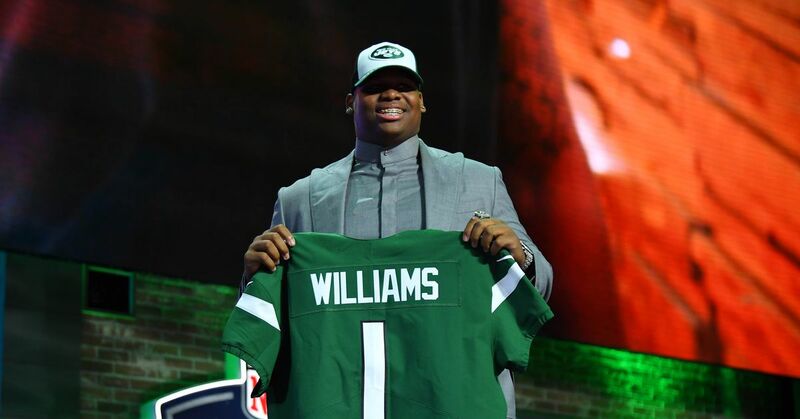 And when star defensive tackle Quinnen Williams is chosen on the opening day of the 2019 draft next Thursday, he'll extend the program's streak of years with a first-round pick to 11. Saban, however, has a problem with early departures. "If you're a third-round draft pick, and we had one here last year―I'm not going to mention any names―goes and starts for his team, so he's making third-round money, which is not that great. He'd be the first guy taken at his position this year, probably, and make $15-$18 million more. So, the agent makes out, the club makes out, and now they've got a guy that's going to play for that kind of money for three more years." It's clear who he was referencing: Ronnie Harrison was the only Alabama player selected in the third round of the 2018 draft. The easy takeaway is thinking Saban said this largely because he wants the best roster possible. Having valued NFL prospects return to college is a major part of that. Remember, though, there is an important distinction. Saban didn't say nobody should leave early; he pointed out that underclassmen who aren't expected top picks have remaining upside to reach if they return to school. Then, it's possible the players will raise their draft stock for the following year. Alabama has had 26 first-round and 15 second-round picks in his tenure. 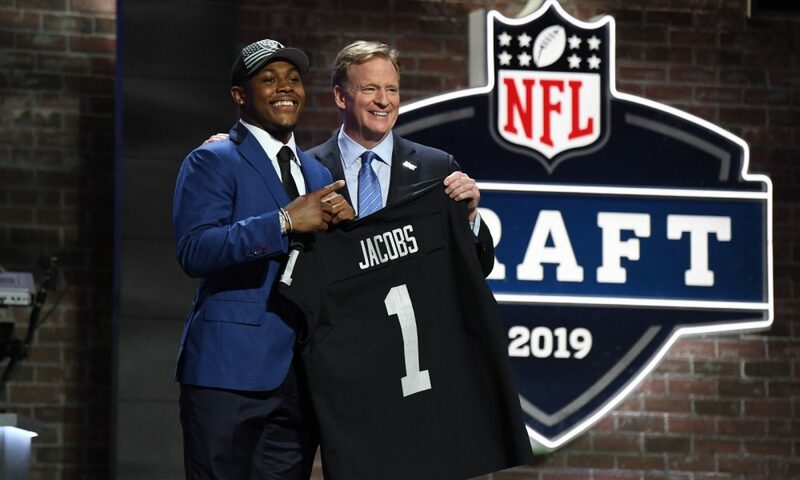 The monetary difference between a first- and third-round spot is both considerable and undeniable, and he stressed the "business decision" aspect in an honest manner. After an understandably frustrated Twitter response from Harrison, Saban briefly reiterated one of his initial comments. "We support every player and every decision they make, regardless of what it is," he said, per 247Sports. "We want to help them with all their decisions to have the best opportunity to be successful, to create the most value for themselves and their future." Izzo: "Quit thinking coaches are holding players back ... (They're) trying to help them make smart decisions and not crazy decisions." Overwhelmingly, that's a true statement. Some coaches are self-centered and focused on personal gain, but many try to build and sustain a championship-level program while also looking out for the players. The risk of losing $2.5 million―the lowest contract for any 2018 draft pick, per Spotrac―can outweigh the potential of a career-ending injury in college and not earning a penny of that money. Because in college―don't stop me if you've heard this before―players are unpaid while coaches take home millions of dollars. Sure, the number of NFL-caliber players who return for their senior year and suffer a career-ending injury is low. But that's only an improbability until it happens―and suddenly, then what? Harrison inked a four-year deal worth $3.4 million with the Jacksonville Jaguars. For comparison's sake, the Miami Dolphins chose fellow Bama safety Minkah Fitzpatrick 11th overall and signed him to a four-year, $16.4 million pact. What if Harrison returned with aspirations of matching Fitzpatrick's value but had a horrific knee injury? What would a Harrison-type player gain from a year of unpaid work? If college football wants to keep high-level talent for another year, then the athlete's value must be recognized. It really is that simple. Follow the Olympic model, and let the market determine his worth. Those who have the most value will be rewarded beyond a scholarship―as thousands of other non-athletes already are―so both sides would actually have an opportunity to come out winners. Players who haven't quite reached their elite potential have more incentive to return. That helps coaches like Saban, and it offers protection for the individual's future. The last part is what matters most. Everyone agrees on that, too. But those in power keep coming up short of the most effective solution.